Any cancer is an abnormal growth of cells in the body called a tumour, which then becomes malignant, growing at an accelerated rate and causing damage to organs and parts of the body. The pancreas is a very important organ within the digestive system, helping to convert, store and use the energy we can get from food. The pancreas creates and deliver enzymes, cells which are used to break down foods and enable the different nutrients and energy to be distributed around the body. This is done in the exocrine glands through ducts into the small intestine. The pancreas also creates and delivers insulin and similar hormones, which enable us to extract sugar in the form of glucose from food, and maintain healthy blood sugar levels throughout the body. This is done in the endocrine glands. Those with diabetes, who are incidentally more at risk of being diagnosed with pancreatic cancer, have either a shortage or complete lack of insulin production in the pancreas, meaning their blood sugar levels are too high. We’ve blogged about diabetes before if you would like to know more about that. Put the two definitions together, and pancreatic cancer is an abnormal growth of cells known as a tumour, in some area of the pancreas. The different types of cancer are largely to do with where in the pancreas the cancerous cells grow. There are two main types of pancreatic cancer and then some other rarer forms, some of which we have detailed below. There are so many sub-categories of cancers that we are not able write them all down here, but this is a good starting point should you want to research particular cancers or discuss them in a doctors’ consultation. The most common of all pancreatic cancers, with 90% of diagnoses turning out to be adenocarcinomas. These dense tumours are found in the lining of the pancreatic exocrine ducts. A much more rare from of exocrine tumour, these occur in 5% of all pancreatic cancer cases. They are similar to adenocarcinomas but much softer and without a ‘stroma’ which play a part in cancer development and progression. They also have links to the specific enzyme lipase, which is responsible for breaking down the fats in our food. These finger shaped tumours grow either in the main duct of the exocrine system, or branch off the main one, and are cystic, meaning they contain fluid. They are actually often benign, but put you at a much larger risk of cancer as they can develop to become malignant, and often form into adenocarcinomas. These tumours are also cystic, but they most commonly grow in the thin tail of the pancreas. This type of tumour is more common in females than males, but we are unsure exactly why this is. Functional PNETs - these are quite often non-cancerous and are simply gland cells which are growing, and functioning, at an abnormal rate. They can still cause problems and similar symptoms as they are overproducing hormones and sending them around the body, but it is not cancer. 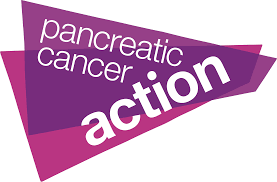 The world of pancreatic cancer and the different types, or indeed any cancer, is extremely complex and there is a lot more information available than we can fit into one blogpost. There is a lot of information on the PCA website which we recommend checking out if you would like to know more about the types of cancer, and also to explore what’s being done by charities like PCA to raise awareness and improve diagnosis.